Saturday, July 16, 11am-6pm at corner of Hester and Essex, Lower East Side. 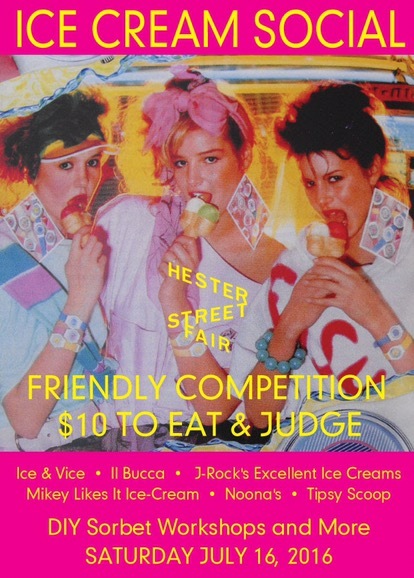 At Hester Street Fair’s annual ice cream bazaar, a $10 tasting ticket gets you tastes from all the vendors, including Ice & Vice, J-Rock’s Excellent Ice Cream, Il Buco Alimentari, Mikey Likes It, Noona’s, and Tipsy Scoop. 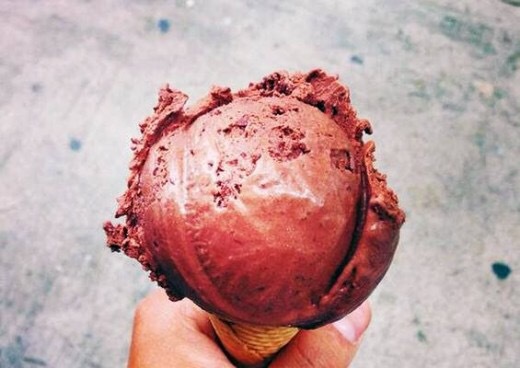 To sweeten the deal: you get to help judge who churned it best. We’re told J-Rock is reviving a Tunisian-inspired concoction of coffee-cinnamon ice cream with candied pine nuts and chopped dates. Penguin Ice Cream, a Chinatown newcomer that specializes in rolled ice cream, will be doing a mango-green tea flavor. 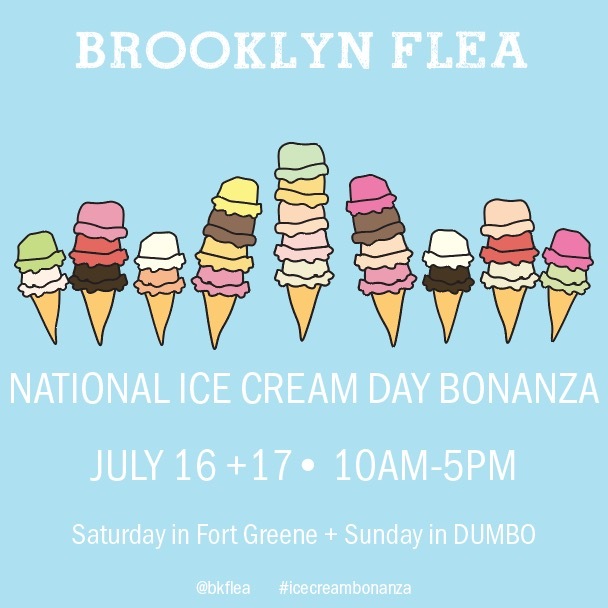 Another local, Ice & Vice, is doing marshmallow cones, and Snowy’s NYC Truck is serving up bowls of pina colada snow cream topped with pineapple coconut jelly, coconut drizzle, and toasted coconut. With that much to lure people in, don’t be surprised if you see Mister Softee playing a sad game of solitaire nearby.